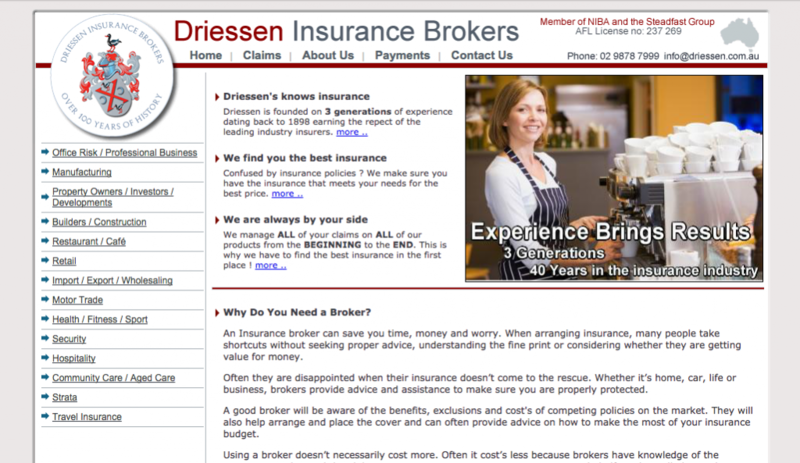 Driessen Insurance Brokers are a local insurance brokerage in North Ryde, Sydney. 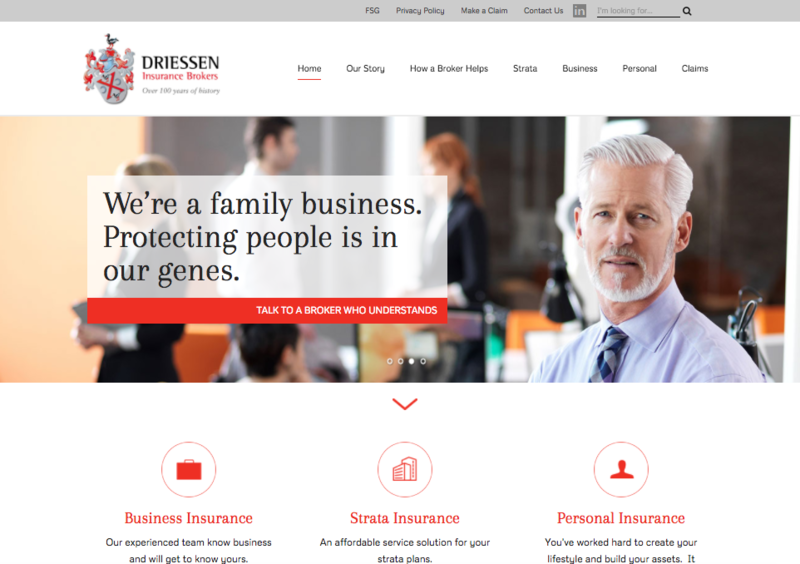 Driessen had a website which was very dated and needed to be refreshed as part of an overall market strategy. Their old site was not easy to update and did not provide a very good user experience for visitors. Working collaboratively with Marketing Goodness who were providing the Marketing Strategy, we designed and developed a new website for Driessen and migrated existing content from the old site to the new. We ensured that key pages from the old site were redirected to the new site. We provide ongoing website maintenance and support to Driessen.